So this weekend my sister Hannah came for a visit. She left her family for a long weekend of relaxing with me Nashville-style. Now I’m certain that she missed her kiddos–and her husband, too! She called them daily, tucked her girls in by phone every night, and took lots of pictures for them. And her picture-taking prowess is your gain! We did a lot of really fun Nashville things! Like breakfast at the Pancake Pantry, which is a Nashville tradition of the best kind! We got two speciality pancakes and shared them, so that we could have more variety. And let me just say that the cherry pancakes are AMAZING! And then, of course, there’s the really, really amazing syrup. I love this stuff! 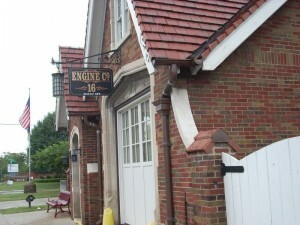 After the Pancake Pantry, we ran back to get a picture of this fire station. While the station was really cool, the run through the rain to get the picture was worth a thousand laughs. As we were running across the street to get a better angle, she was grabbing for my hand. Apparently she doesn’t give up being a mom of little girls very fast. We giggled about it for days! Then there was the Bluebird Cafe, featuring some really amazing songwriters singing in the round. 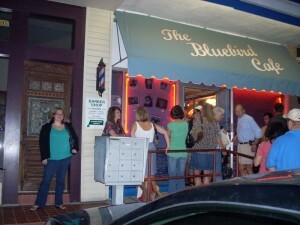 What I love about the Bluebird is that there is nothing like it anywhere else. It’s such an intimate night of incredible music! 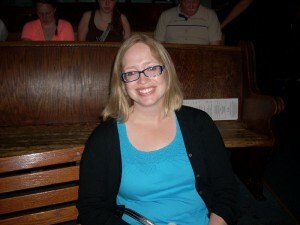 Hannah and I sat on the park bench in front of the church pews (as all good venues should have). It was a hoot! And so fun! 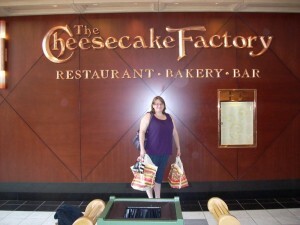 And then we celebrated my birthday with a rousing trip to the Cheesecake Factory for lunch on Sunday. Let’s just say that where was eating of cheesecake gallor! Pretty amazing stuff! Well, that’s a start on the trip. I’ll share more stories and more laughs later. 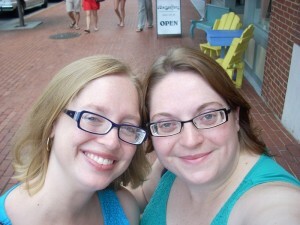 So let it suffice that my sister is awesome, and we had a riot! Sisters, sisters, there were never such devoted sisters…looks like you girls are having a great time. 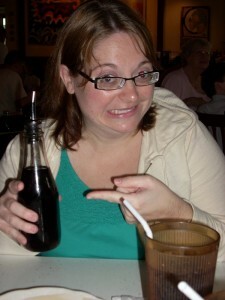 i love the syrup pic – a classic liz face. and i miss seeing it in person! I know, Jess! 🙂 We didn’t plan to match … but then there we were in our matching tops, and it seemed like far too much trouble to go and change. So we didn’t. 🙂 Plus it felt a little like it did when we were kids with matching outfits.